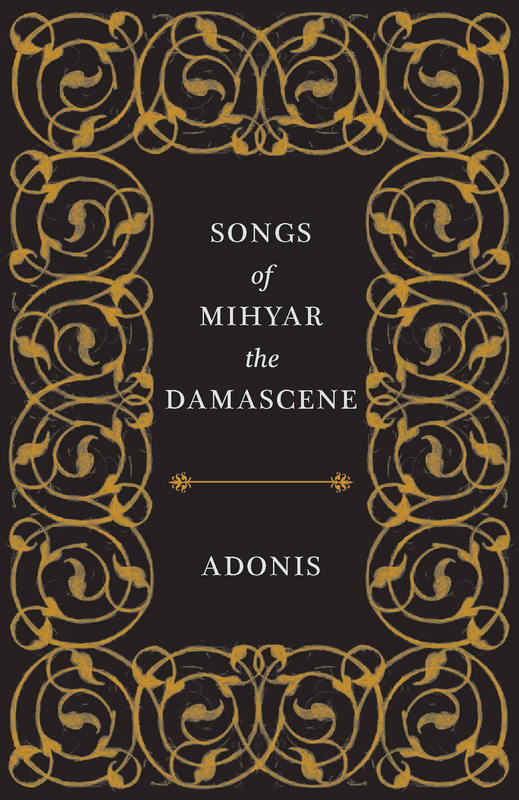 Written while Adonis was on a scholarship in Paris from 1960 to 1961, Songs of Mihyar the Damascene is widely considered to be the apex of the modernist poetry movement in the Arab world. Drawing not only on Western influences, such as T. S. Eliot and Nietzsche, but on his own culture’s deep poetry traditions, Adonis single-handedly accomplished a masterful and radical transformation of the rigid formal structures and themes of Arabic poetry. The name “Mihyar” has no inherent meaning in Arabic, though its root letters mean “to destroy, topple, demolish.” Mihyar is Adonis’s poetic alter ego, his Zarathustra figure (in his own words), who has come to smash through any monolithic vision of Arab culture—including certain orthodox Islamic views—in favor of a more diverse and open-ended outlook. Songs of Mihyar is a masterpiece of world literature that rewrites—through Mediterranean myths and renegade Arabic mystics—what it means to be an Arab in the modern world.